Court Gentry is a freelance agent specializing in assassination. For many years he was one of the best killers that the CIA had ever had, fearless but not reckless, deadly without being bloodthirsty. Then a frame-up happens and he is summarily dismissed and a shoot-on-sight order was put out on him. To earn a living when such a powerful organization wanted him dead, he decided to rely on his basic talents. As a young man, Gentry had grown up watching his father, a SWAT instructor, train hundreds of men to use weapons and tactics to take down deadly opponents. When he was old enough, he began to train and became an expert in several ways to kill or maim. His skill did not prove enough to keep him out of trouble, however, and at eighteen he got into a skirmish that left three Cuban drug dealers dead. He was sentenced to a long stretch in prison. Then the Agency stepped in with an offer. If he worked for them in a highly secret section inside Operations, his record would be expunged and his freedom restored. He took the offer and worked for them for years. Then someone felt he knew something he shouldn't, or had seen something he ought not have, and Gentry was on the out; not only was he unemployed, he was being hunted. The offer by Sir Donald Fitzroy, head of Cheltenham Security Services, to work for him in the guise of a security consultant. Gentry agreed, knowing his form of security would be elimination. But he stipulated strange conditions for what was a mercenary killer position. He would only accept an assignment if he felt the target deserved the ultimate sentence. Even with such a limitation, the call for Gentry's talents grew as each mission proved more challenging than the one before. If Gentry took the job, the client could be assured the task would be finished. But the kill order was still in place and Court Gentry was still unable to live a normal life so he laid low between missions and planned each job carefully to make sure no one other than the target was killed, including Gentry. 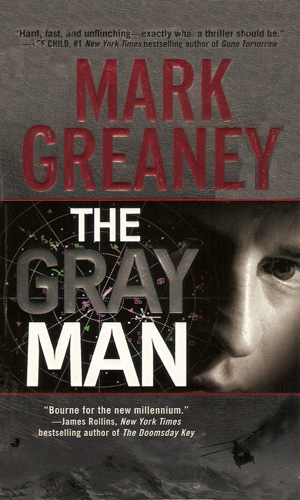 He took the covername of the Gray Man, a name that grew to legendary status with each success. As the Gray Man, he was almost ghostlike but while ghosts might try to scare, Gentry killed. On an assignment to the Iraqi/Syrian border, Court Gentry is awaiting extraction when that team is targeted. Gentry quickly learns that there is considerable effort to see him dead and the plotters reach high into the American government. Gentry Court had thought his days with the CIA long over after he had been betrayed by them four years before. Now an old associate wants his help and that involves breaking out a person from prison and delivering him to his Agency betrayers. Court Gentry is forced to live off the grid to stay alive but he takes a chance to investigate the death of an old friend. When he learns that his friend had been murdered, he is determined to get justice even though the list of people hunting him is growing and growing. 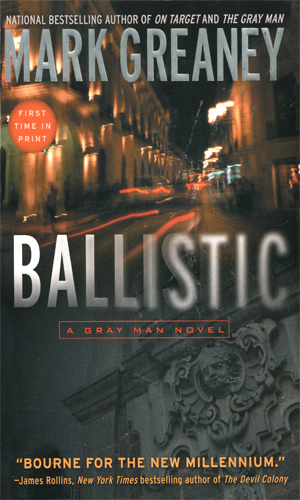 Someone has hired a killer to take on the Gray Man, an assassin who has the same training as Court Gentry and may be better. Even as Gentry is trying to disappear having quit his employer, he is being stalked. "Court is back in Washington looking for answers. He’s determined to find out what happened all those years ago that made the Agency turn against him." "After five years on the run Court Gentry is back on the inside at the CIA. But his first mission makes him wish he had stayed on the outs when a pair of Chinese agents try to take him down in Hong Kong. Normally the Chinese prefer to stay eyes-only on foreign agents. So why are they on such high alert?" Having just finished a job for the CIA, Court Gentry, the Gray Man, takes a simple contract job in which a group of expat Syrians want him to kidnap the mistress of the Syrian dictator. Sometimes even successful missions, like this one, can have very strange consequences. 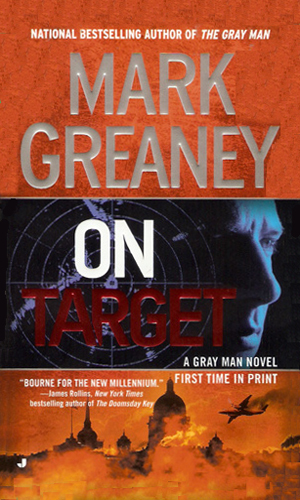 The CIA transport plane that Court Gentry, the Gray Man, is hitching a ride on lands at a airfield and a hooded man is brought on board by guards. At first Gentry is pressured to leave but when overruled, the flight continues to England. There it is attacked, the guards killed, and the prisoner kidnapped. Gentry is asked to hunt them down. 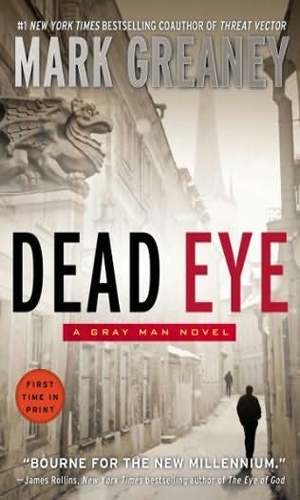 I have one small gripe about this terrific series and that is the repeated use of the expression "the Gray Man". How petty is that! This is a dynamite series, extremely well written, believable even when the events are unbelievable, fast-paced and captivating. I couldn't wait to get the finale and yet hated the thought of the book ending. And I still have that gripe? What kind of a jerk am I? 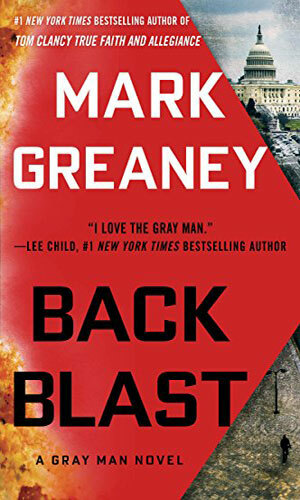 Thank you, Mr. Greaney, for a heckuva series and I so look forward to more books in it. I just read that the first book might be made into a movie and I will see it even though I doubt it will be anywhere as good as the book. I will eagerly await new books in the series. There are several series being written that I enjoy a lot. Writers like Lee Child, David Baldacci, Andrew Grant, Vince Flynn, Brad Thor, James Rollins, Stephen Coonts, and Steve Berry have me consistently in their grips. 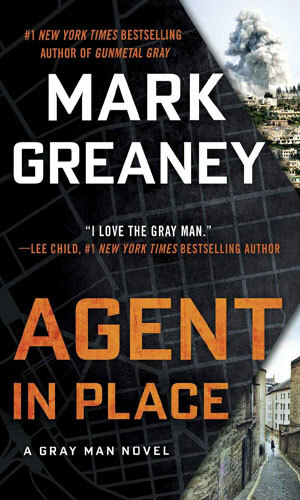 Now there is another writer to add to that group - Mark Greaney. The first book was a solid A+, non-stop action and impossible to stop reading. The next two very good but not quite as action packed as the first. 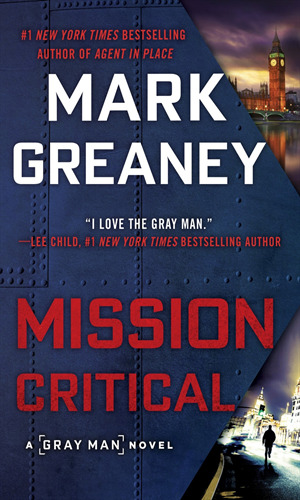 Greaney is now co-writing with Tom Clancy. Great Series. Court Gentry is the modern Devereux. Gritty and thorough, a loner who can and often does play nice with others. Plus the author, Mr. Mark Greeny, is known to reply to email questions, which is very considerate. 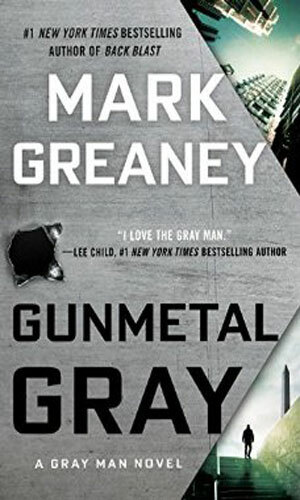 I wish he wasn't so busy with Tom Clancy stuff, so he could focus more on the Gray Man series. Nice problem to have if you're him though!